“Today, BlackBerry took a giant step forward toward our goal of being the world’s largest and most trusted AI-cyber security company, ” – John Chen, executive chairman and CEO of BlackBerry, in a press release published on BlackBerry website on On February 21, 2019. BlackBerry announced in November 2018 its plan to acquire the AI cybersecurity firm, Cylance, before the end of February 2019. BlackBerry spent $1.4 billion, taking more than half of BlackBerry cash holdings, to buy Cylance. This is BlackBerry’s biggest purchase since the acquisition of Good Technology in 2015. The process dragged on from November 2018 to February 2019 due to legal and regulatory requirements. John Chen, CEO of BlackBerry, started laying out the strategy to acquire Cylance immediately he became the CEO of the company in 2013. According to him, the acquisition of Cylance would help cement the plan to successfully evolve BlackBerry from a mobile phone company to an enterprise software and services company and a force to be reckoned with in the cybersecurity sector. Cylance, now known as BlackBerry Cylance, is an embedded AI cybersecurity firm that has served more than 3,400 Fortune 500 customers, thereby securing about 14.5 million endpoints. It boasts of its AI machine learning software capabilities to detect and tame cybersecurity attacks before they manifest by the average of 25 months prior. Cylance will continue to operate as a separate company under the authority of the CEO turned president of BlackBerry Cylance, Stuart McClure. Stuart will ”continue to apply his visionary math-based approach” to threat detection, prevention and response, as well as lead Cylance’s team of engineers and data scientists” – John Chen. What Does The Acquisition Mean For BlackBerry? “Securing endpoints and the data that flows between them is absolutely critical in today’s hyperconnected world. By adding Cylance’s technology to our arsenal of cybersecurity solutions, we will help enterprises intelligently connect, protect and build secure endpoints that users can trust.” – John Chen. BlackBerry is looking to establish as a major brand in the provision of cybersecurity to companies who will soon start desperately seeking for endpoint security. The advancement of IoTs and embedded devices means that devices will be more connected than ever before. As a result, this will give cyber attackers more opportunities to attack and compromise devices on a large scale. In fact, they’ve already started working on that; but with the acquisition of Cylance, BlackBerry is working to reduce and eliminate this risk. BlackBerry has been working on an IoT secured communication platform which is known as BlackBerry Spark. With the acquisition of Cylance, BlackBerry will be able to complete the development of BlackBerry Spark, giving it an AI security layer for connected devices. Cylance will also enhance the already existing BlackBerry products, QNX, and Unified Endpoint Management (UEM). QNX is an operating system for cars and power plants, while UEM is a business information security framework for managing applications and devices. BlackBerry mentioned at the Consumer Electronics Show (CES) in January that once they complete the development of their end-to-end secure communication platform, Spark; they will start licensing their software framework to companies. Particularly companies that produce IOTs, connected devices, auto drive cars, etc. With this, BlackBerry will establish itself as a force in the IoT sector as well as in the cybersecurity sector. There’s a high probability that BlackBerry will go back to making smartphones, not that they will stop being a cybersecurity company. The reason is that there’s speculation going around that tech giants are working on a new operating system (OS) for smartphones. 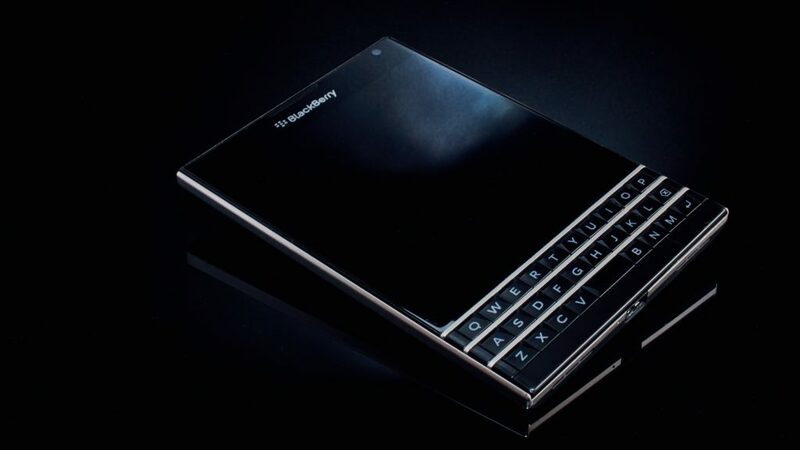 BlackBerry enthusiasts believe and are pushing for new BlackBerry phones, and this might move the former smartphone company to make a huge comeback to the smartphone market.